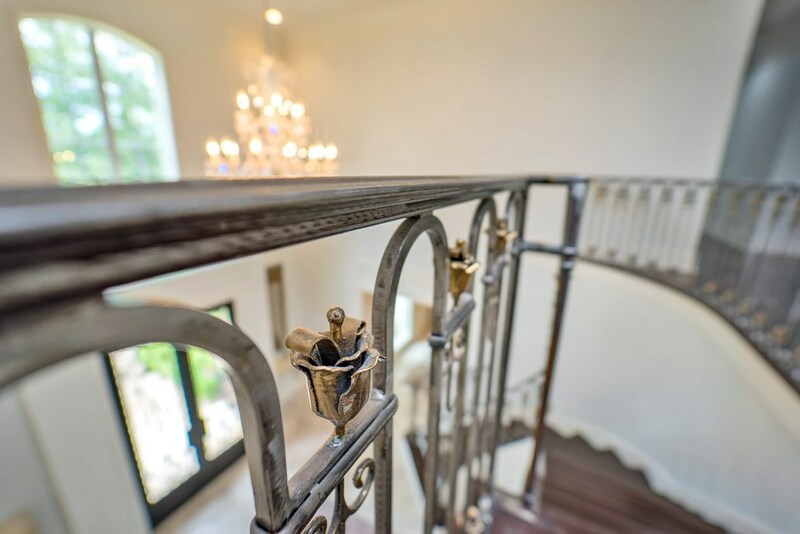 Timeless, elegant, European architecture with all of the finest finishes and imported fixtures. 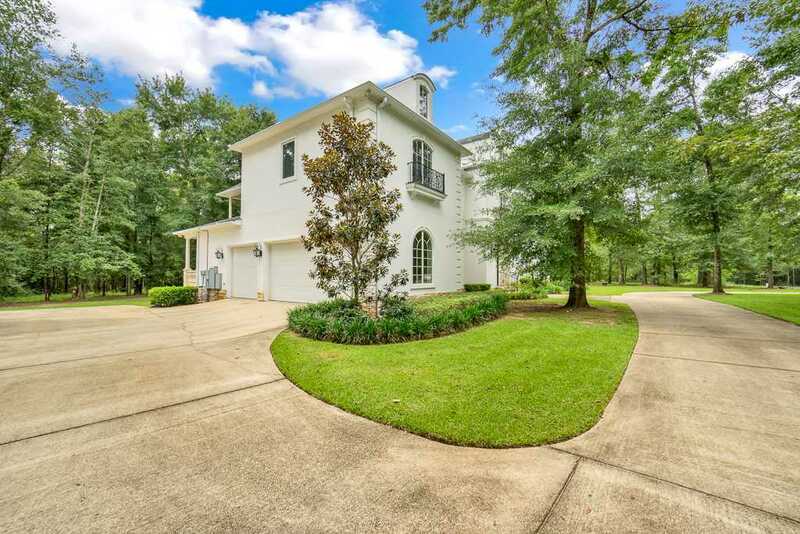 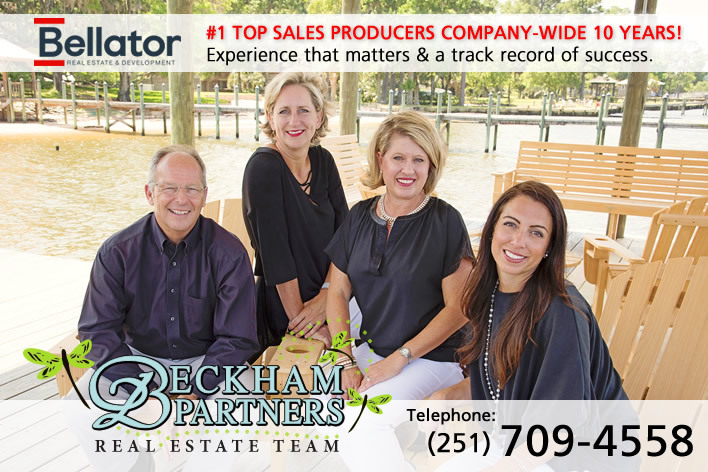 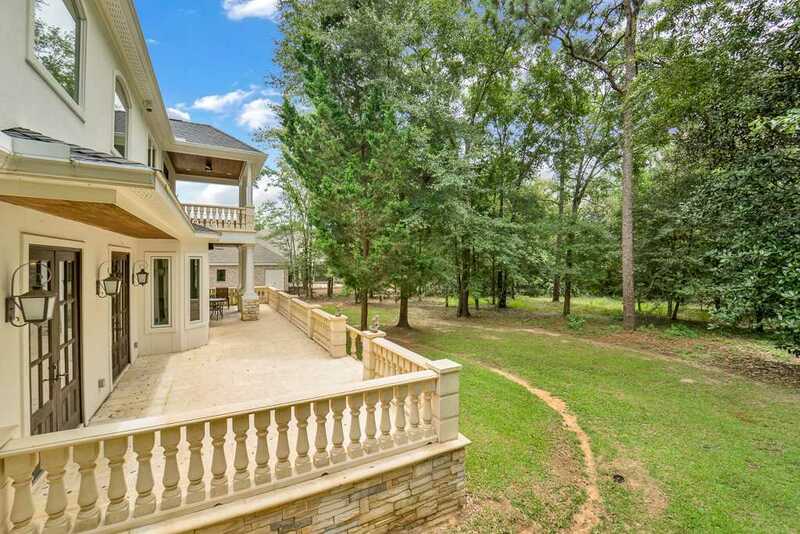 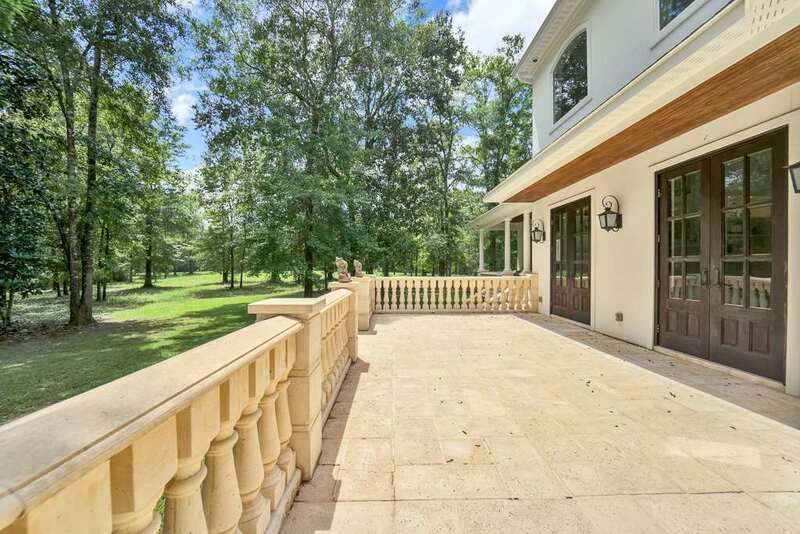 Located on over one acre lot in Daphne&apos;s best kept secret, Beau Chene Estates a gated community just 3 miles from I-10. 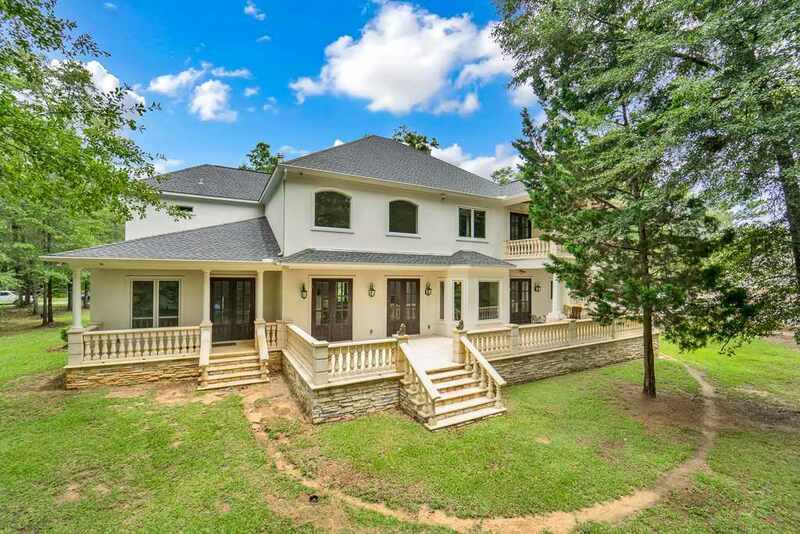 This stunning home has a comfortable floor plan with 5 bedrooms each with full bathroom and 2 half baths, plus formal living room, media room and office. 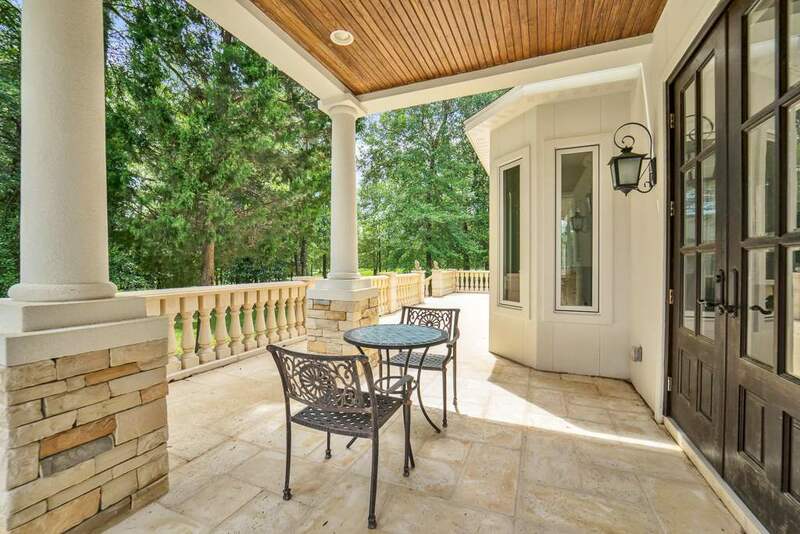 Enter thru 8 ft iron doors with glass that opens allowing fresh air to flow. 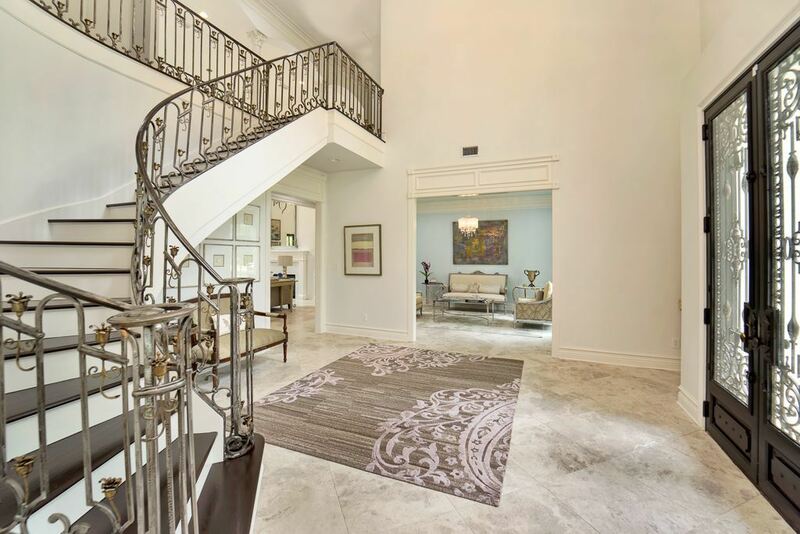 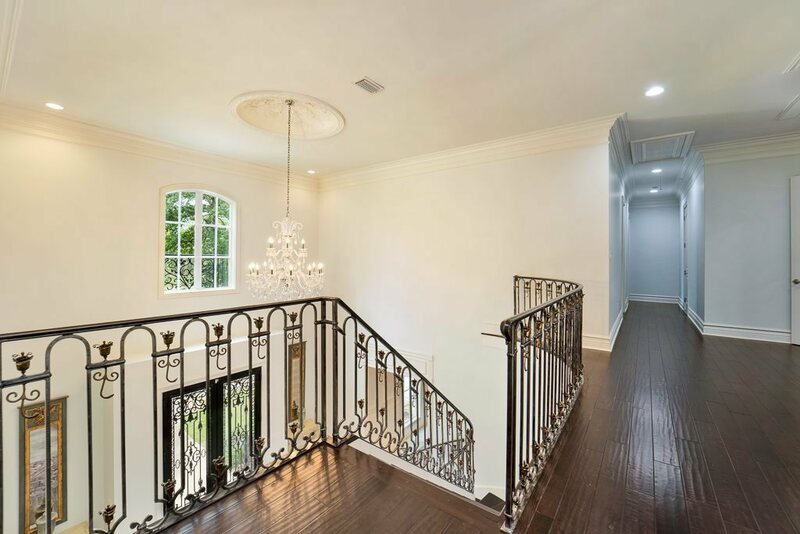 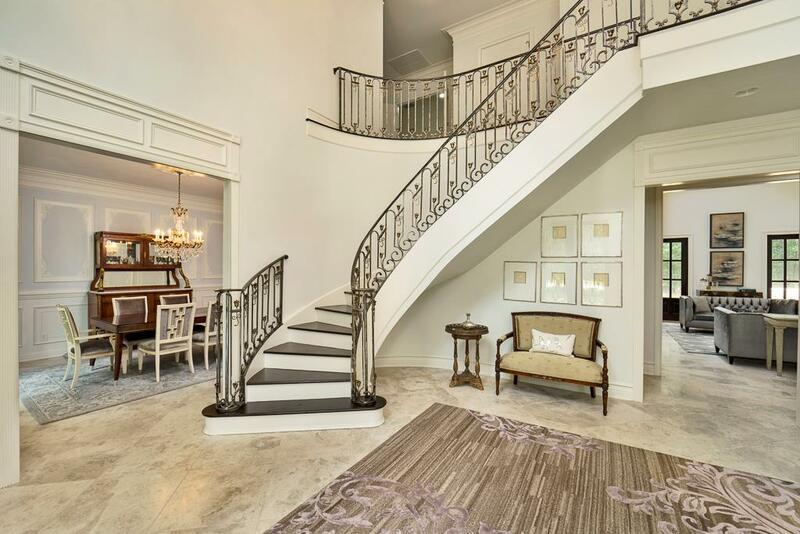 The Foyer has 20 ft ceilings, large dome with crystal chandelier with electric lift for easy cleaning and curved staircase with hand crafted iron railing. 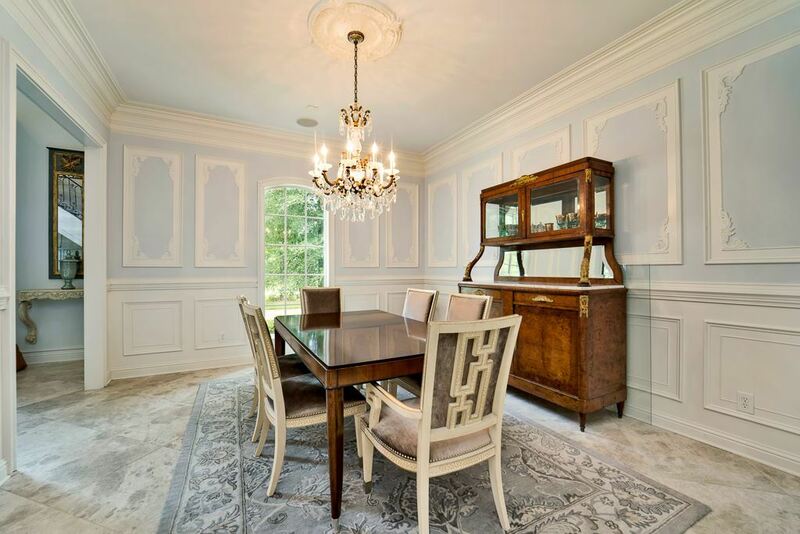 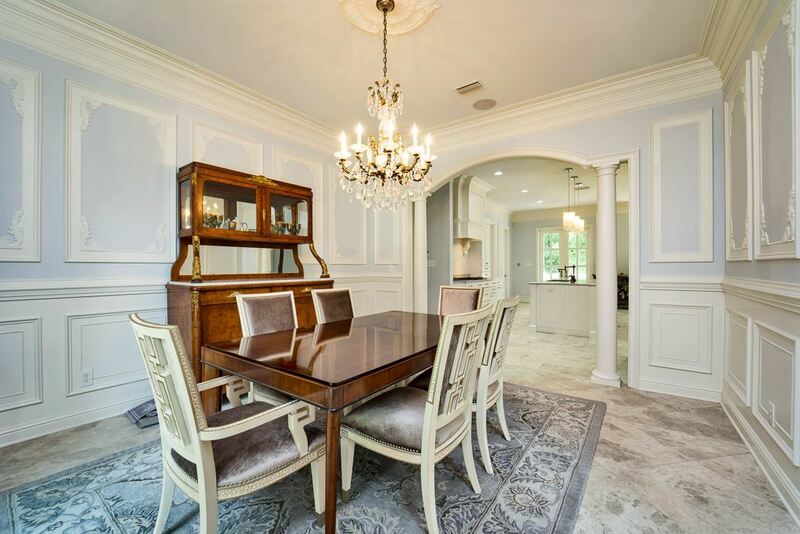 Dining room features Schonbeck chandelier with extra molding on the walls adds special touch. 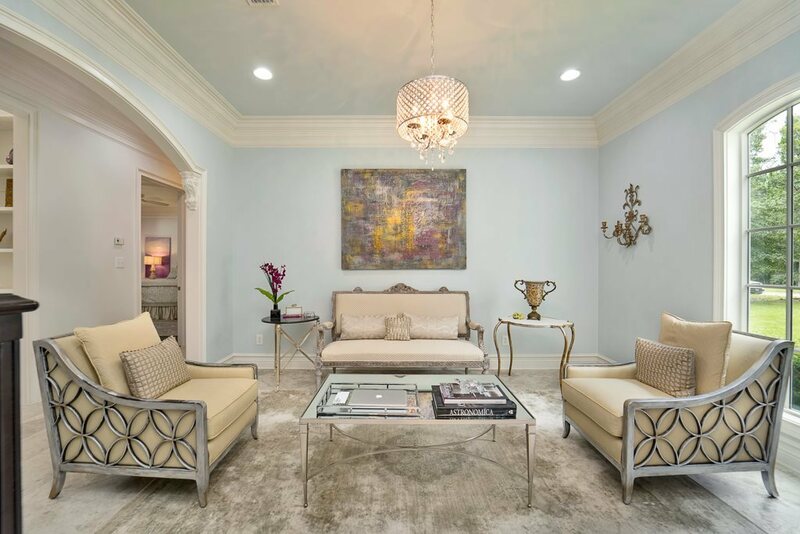 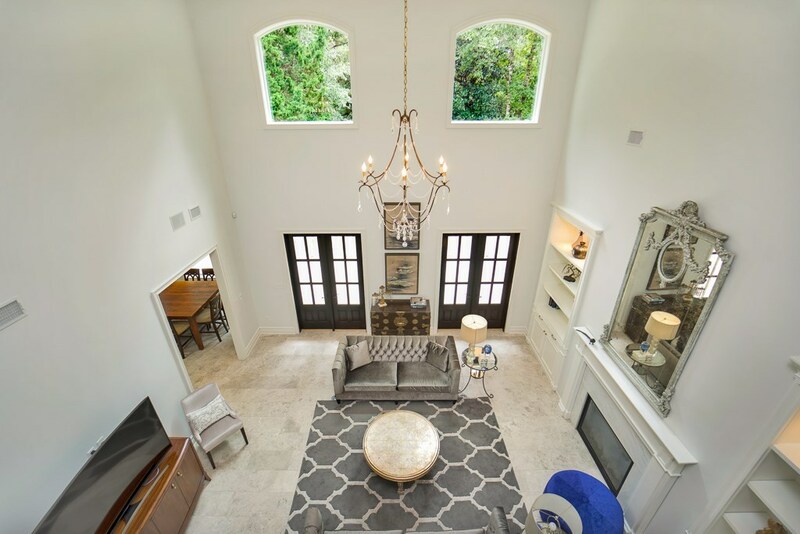 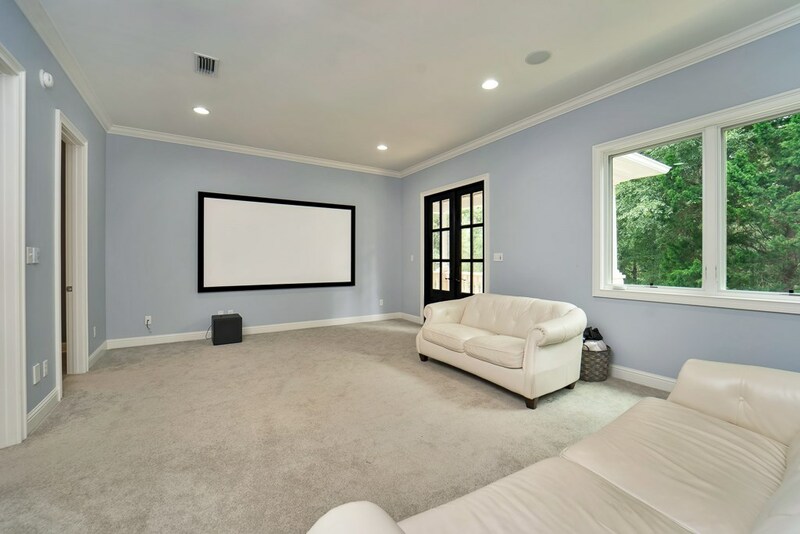 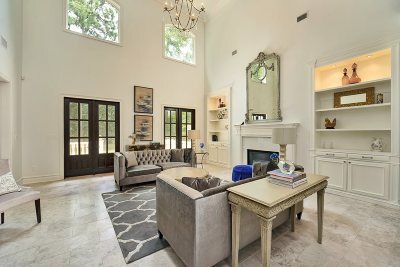 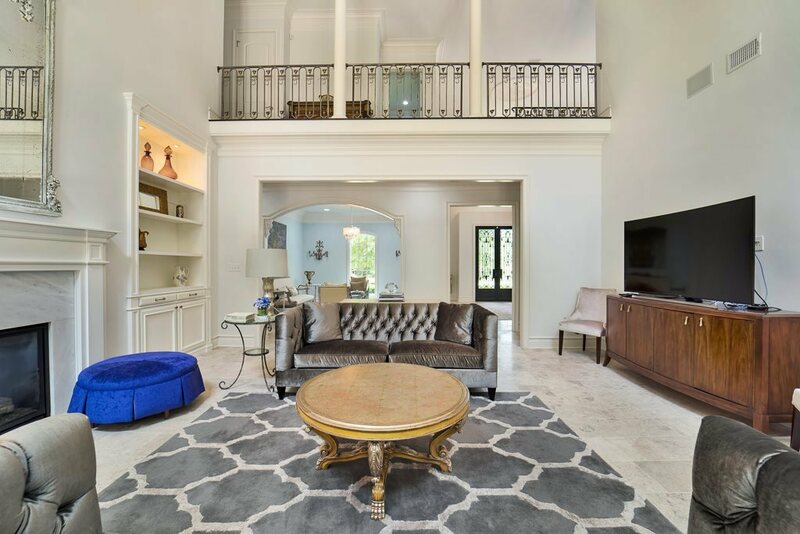 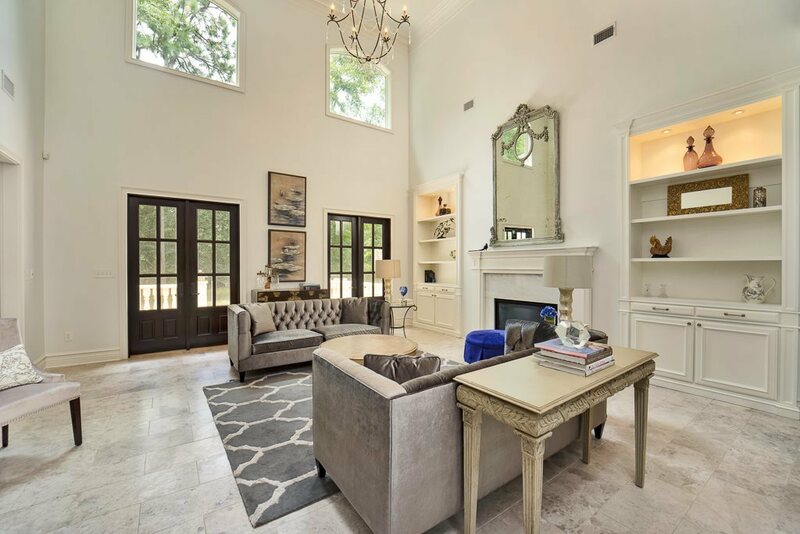 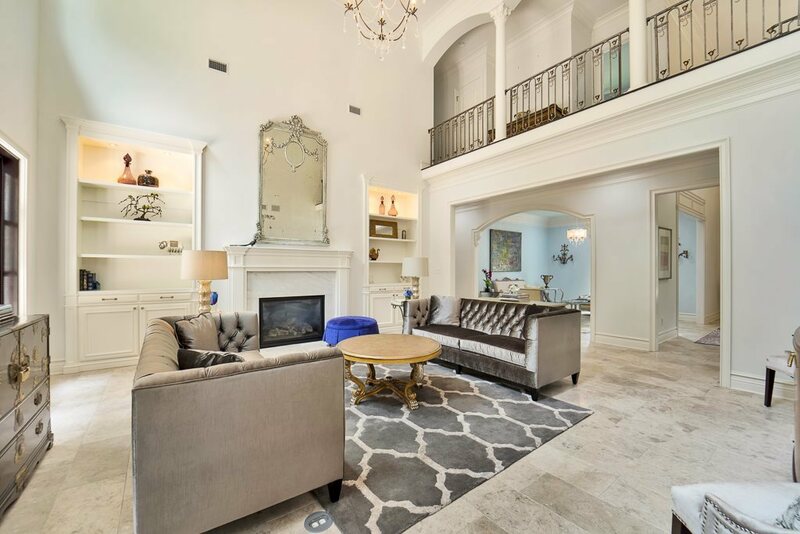 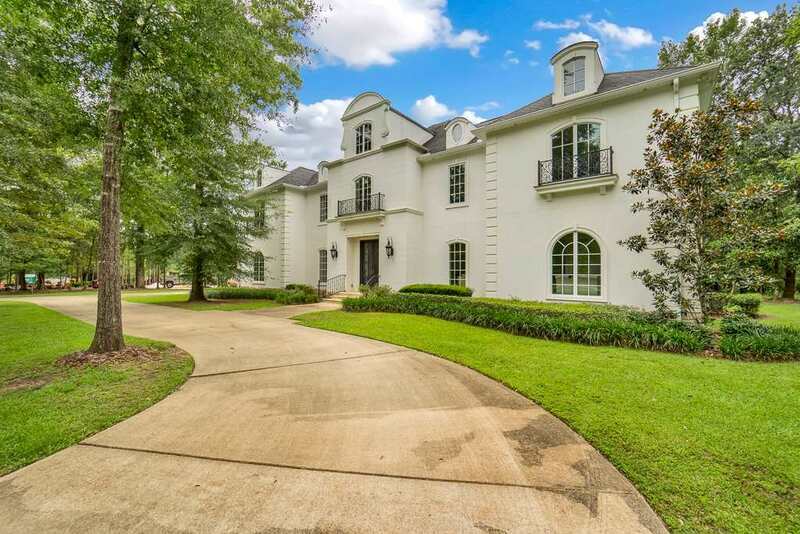 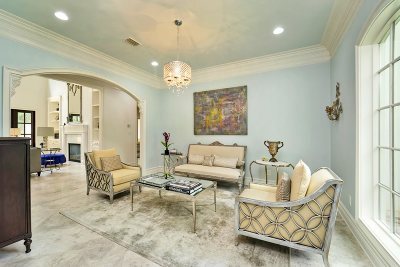 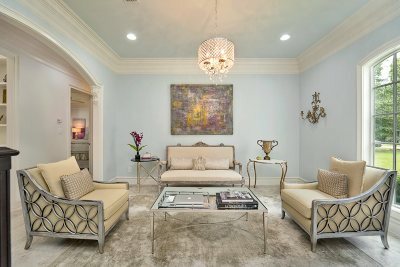 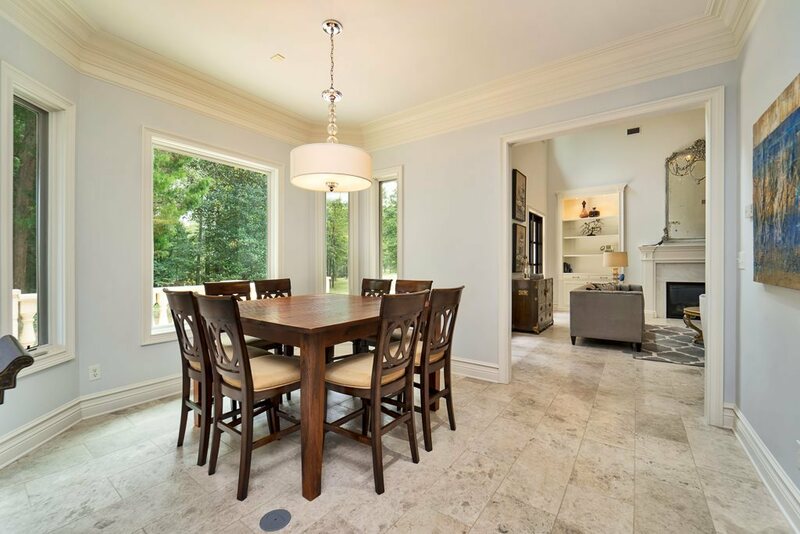 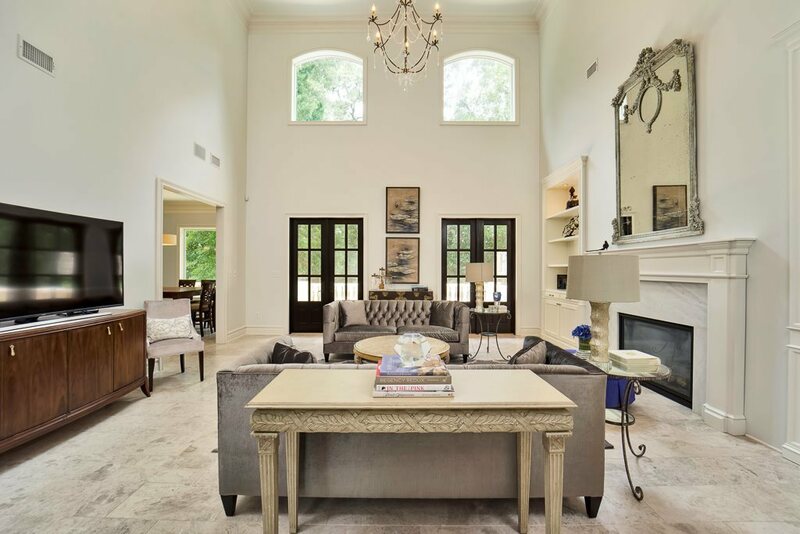 Family room has Curry and Company chandelier, 20 ft ceiling, 4 floor outlets, 8 ft French Mahogany doors open to expansive custom stone patio with balcony. 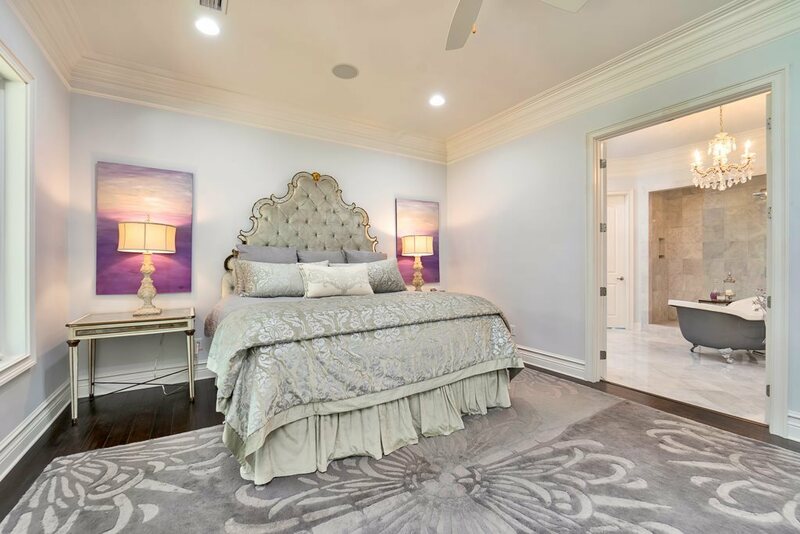 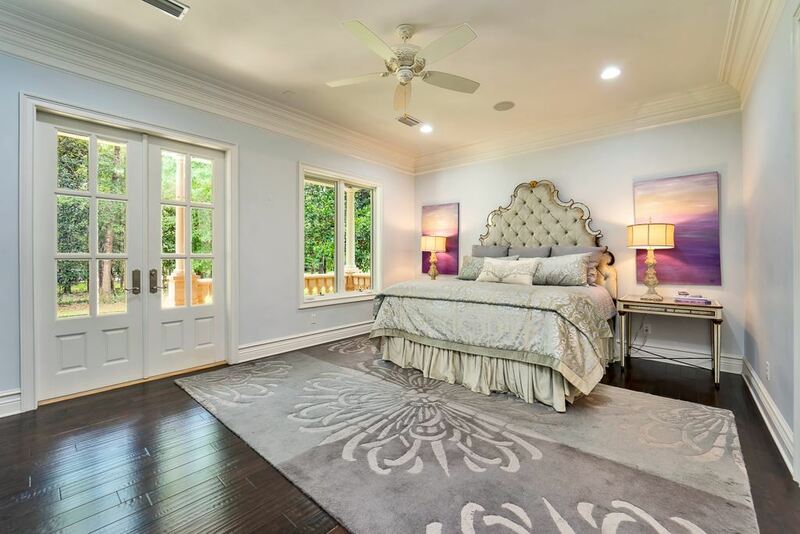 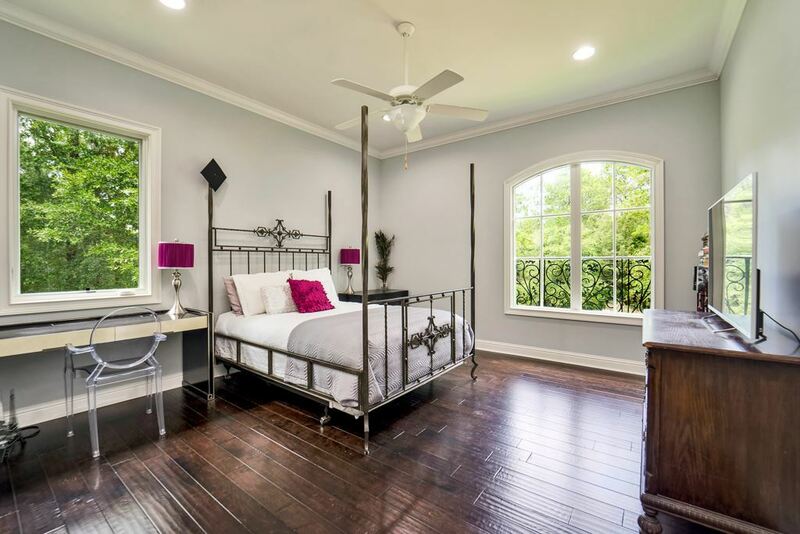 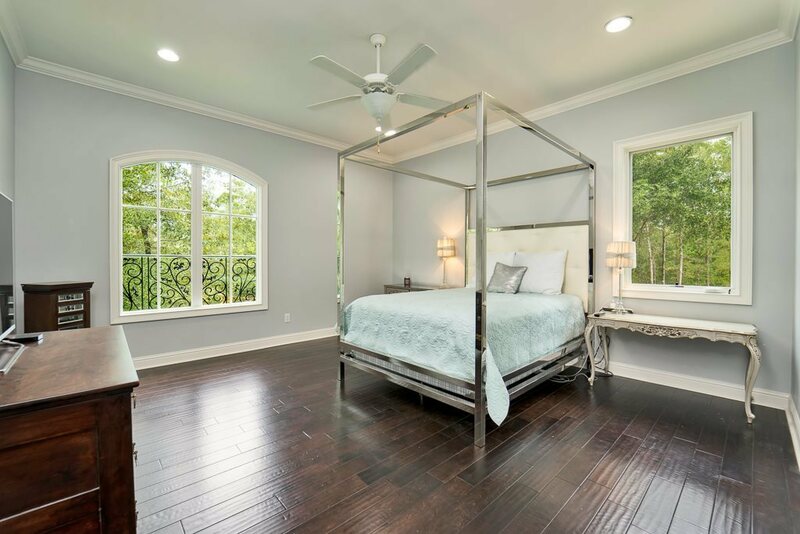 Master Bedroom has 8 ft mahogany doors leading to private balcony. 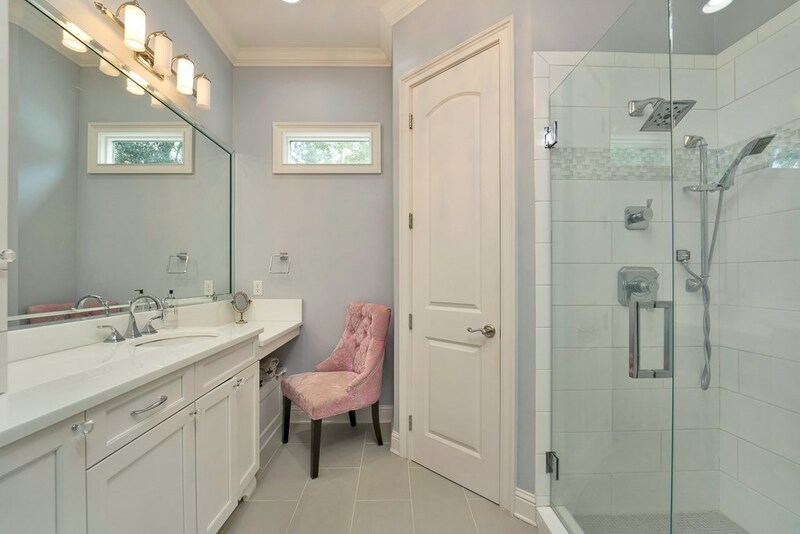 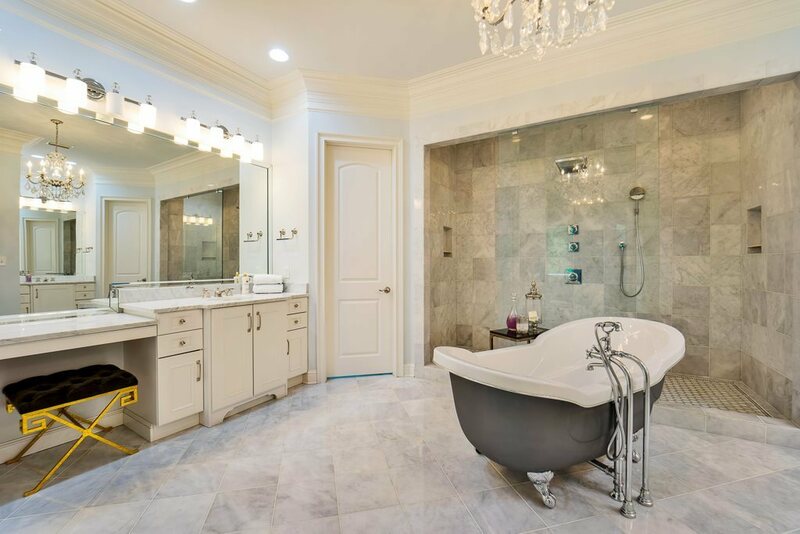 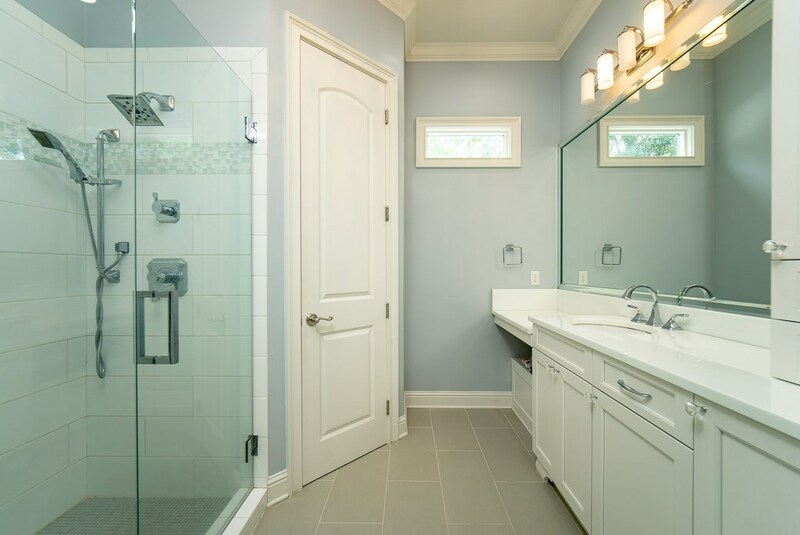 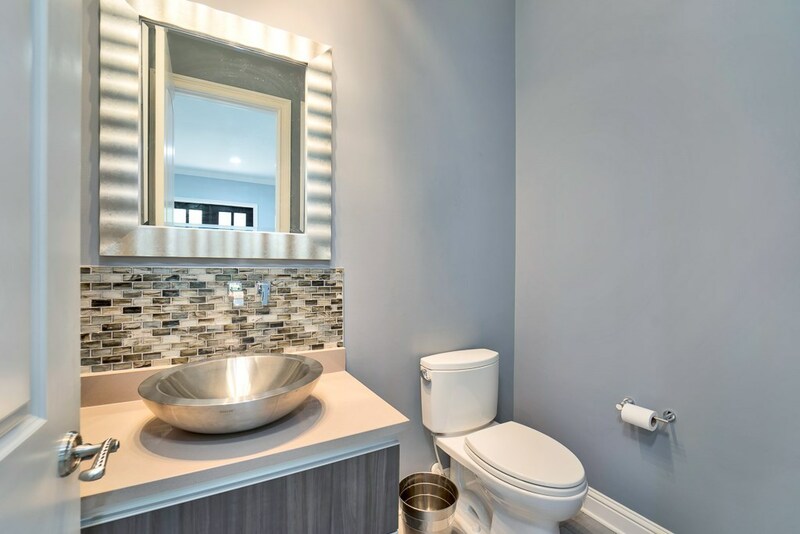 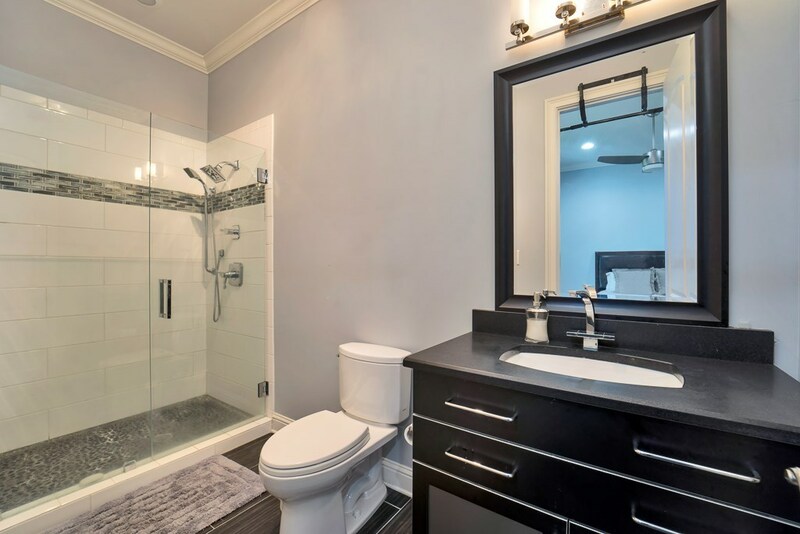 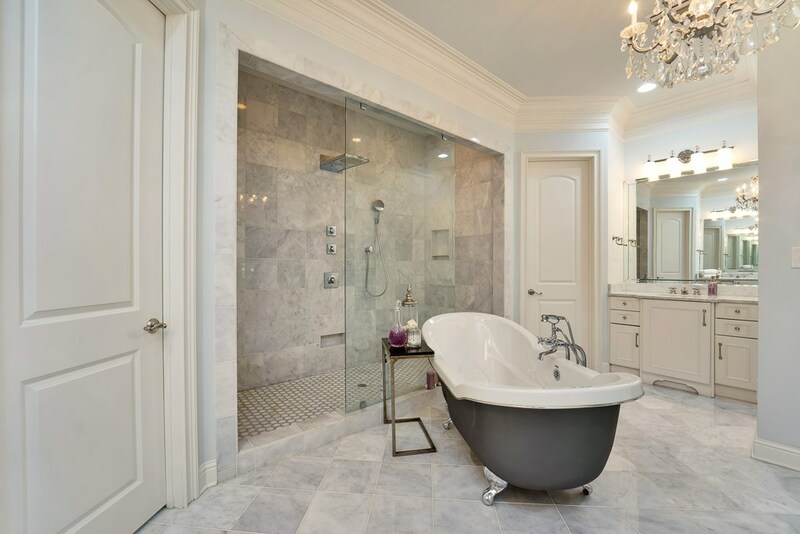 Classic Master Bath with white marble throughout, European free standing tub, large shower with Hans Grohe rain shower head and polished nickel faucets. 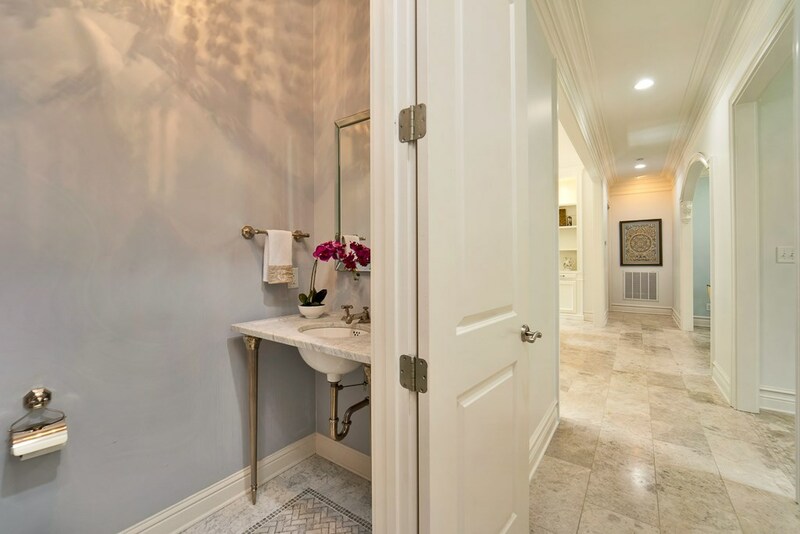 Large walk in master closet with dressing room. 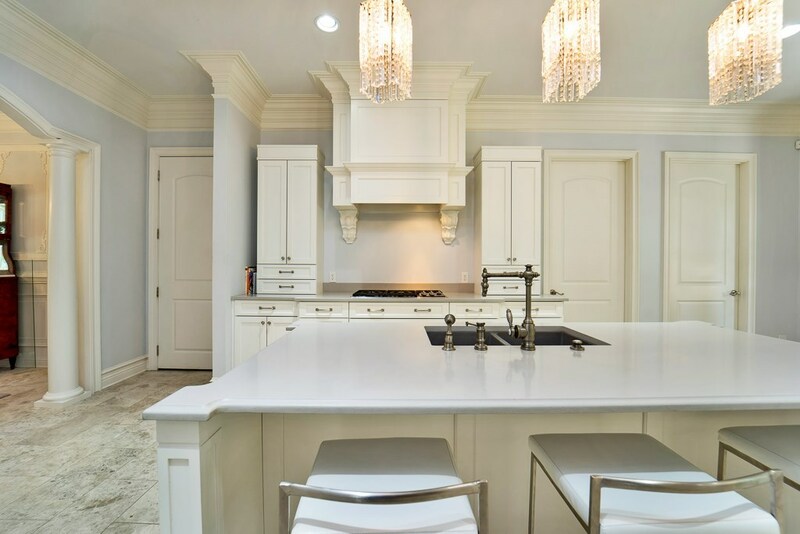 Incredible, kitchen designed by Kitchens Per Se, with water stone faucet, Sub Zero refrigerator, Wolfe oven, 5 burner gas cook top, microwave and Bosch dishwasher. 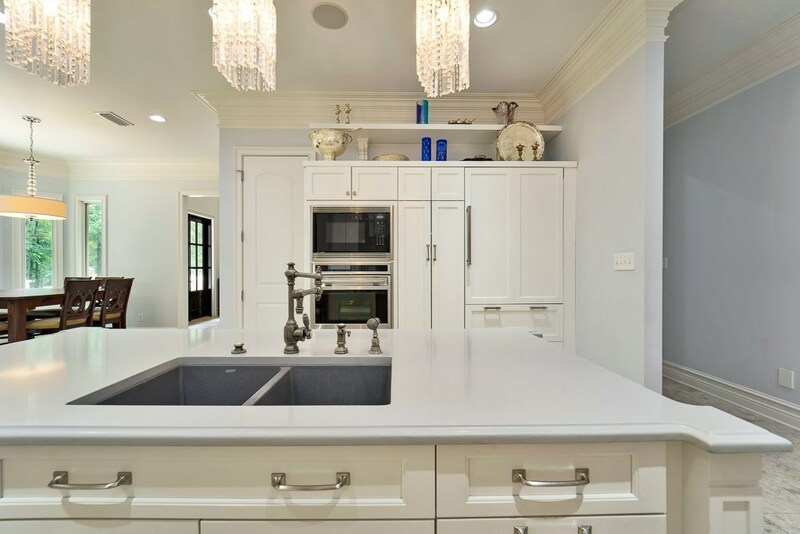 Second refrigerator in the walk in Pantry is Bosch. 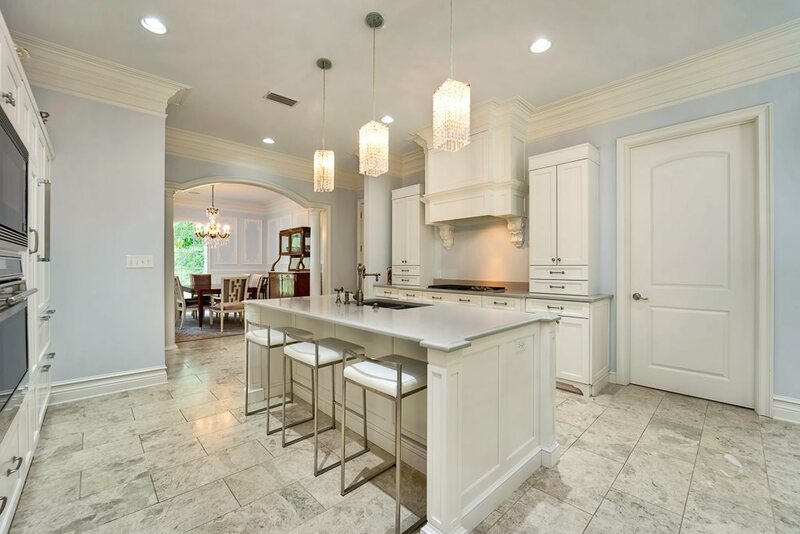 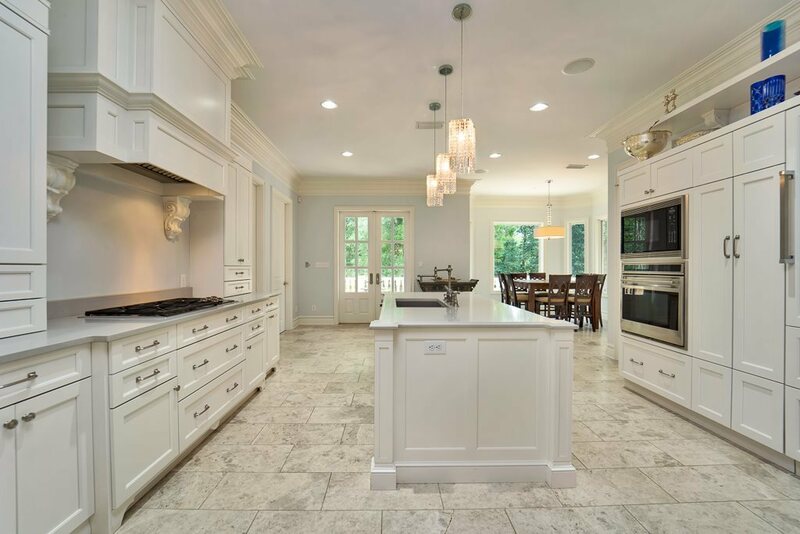 Quartz counter tops, custom white cabinets with soft close, spacious breakfast room and French doors leading out to the large stone Balcony with ballisters. 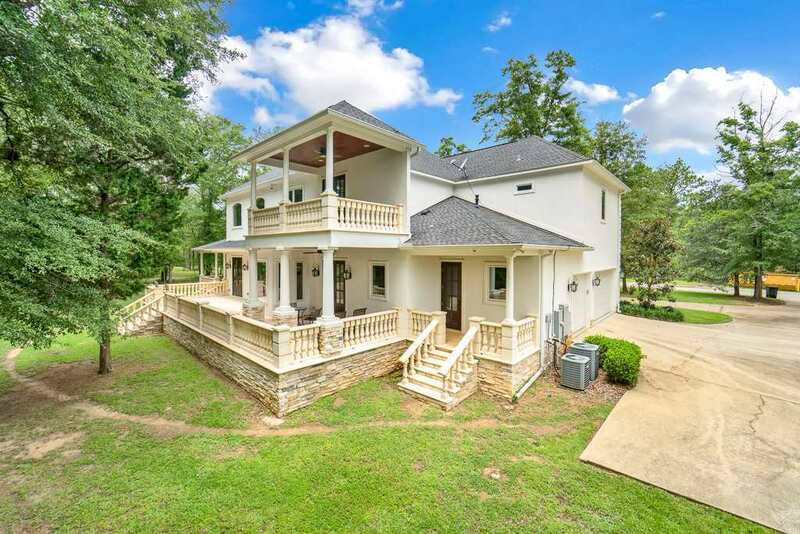 Upstairs, 4 bedrooms, each with a full bathroom, 10 ft ceilings and theater room with large screen, wet bar, half bath and walk out balcony on the second level. Two walk in Attics and one large attic above the second level. 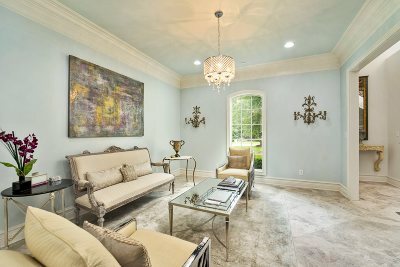 Additional features include three car garage, tankless water heaters, real Stucco, Jeldwen windows.